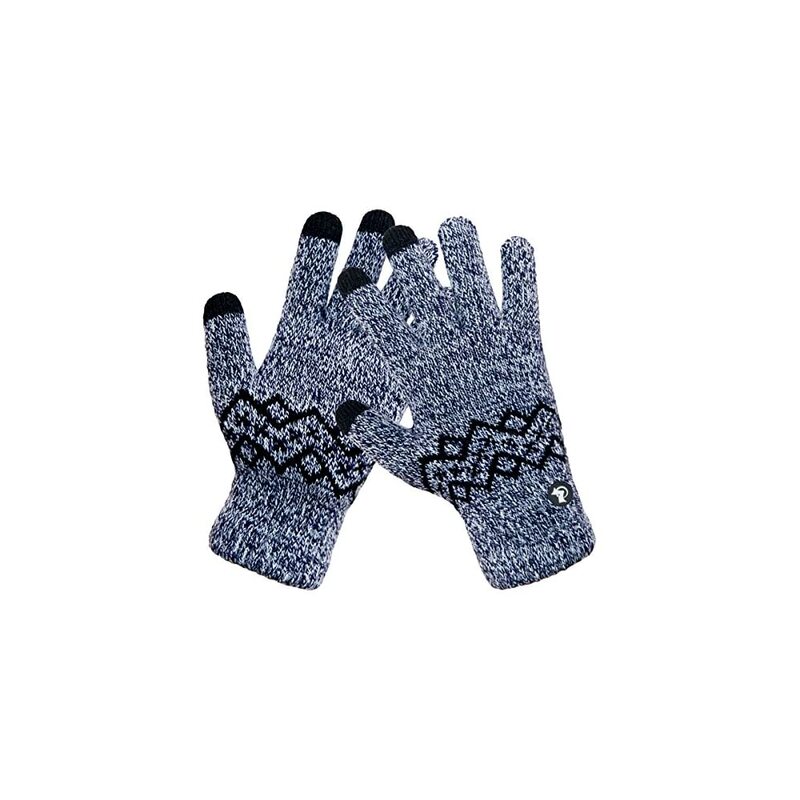 IMPORTANT NOTE and TIP – Please NOTE that Wearing This Pair of Gloves, Please MAKE SURE to wear to the top of Each Finger, especially the 3 Touchscreen Fingers, must be filled with our fingers, so that this Touchscreen function will be Very Effective, Otherwise it might be Ineffective. Please Try to wear this gloves in the Right Way, the Touchscreen function can be Normal. 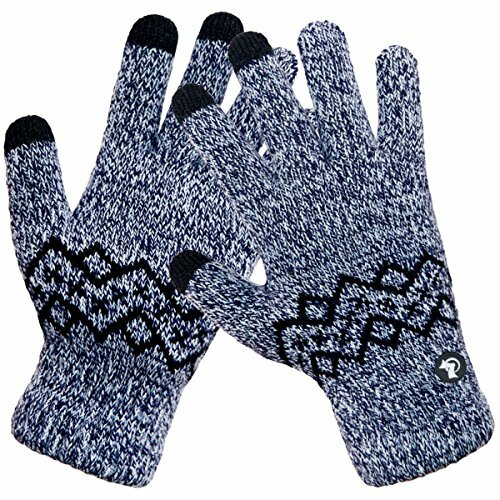 LETHMIK Wool Lined Knit Gloves Warm Winter Mens 3 Touchscreen Fingers for SmartPhones; Item Weight: 3 oz, very soft and comfortable winter warm knit gloves, there are 3 colors for you to choose. Hand Wash or Spot Clean Recommended! Please Try Not to Machine Wash or Brush Wash (In order to avoid Pilling). The Unique & Practical 3 Touchscreen Fingers Capability design, very Convenient and Great for Texting/Typing/Writing in cold winter; Comfortable and high quality Magic gloves material with excellent elasticity, Stretches to fit most hands, You can easily get a custom fit according to your hands. Pair off with your favorite Outfit. Let’s go outdoors with LETHMIK. 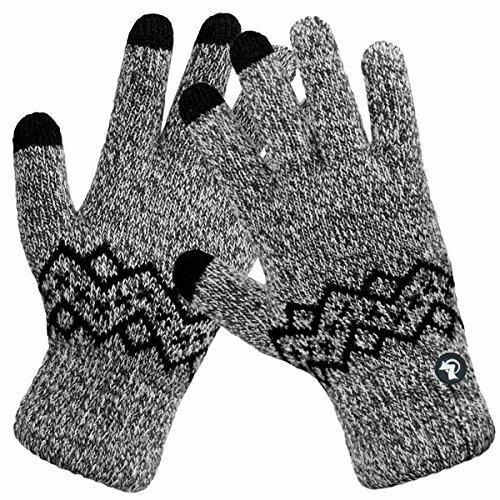 LETHMIK Wool Lined Knit Gloves Warm Winter Mens 3 Touchscreen Fingers for SmartPhones; this gloves is made of High Quality Acrylic Material with super soft and warm Wool lined, The mix and wavy line Knitted, Build a simple and stylish Knit Construction style, the Unique and Practical 3 Touchscreen Fingers Capability design, very Convenient and Great for Texting/Typing/Writing in cold winter; Comfortable and high quality gloves material with excellent elasticity, Stretches to fit most hands, You can easily get a custom fit according to your hands. Pair off with your favorite Outfit. It’s an excellent choice for Gifts or Your Own Dressing. Buy more for your friends and family. Please check genuine authentic item tag to avoid counterfeit products.Counterfeiters are capable of copying the appearance of lethmik items but there’re no “LETHMIK” tags and our packing. Product Care Instructions:Do not wash by hot water; Do not chlorine bleaching; Hang dry in shade; Do not iron; Hand Wash or Spot clean recommended! Please Try Not to Machine Wash or Brush Wash (In order to avoid Pilling). Our customer service Email address is: customerservice@lethmik.com ; You can feel free to contact us if you would have any questions, and we will try our best to bring you with the best services. MIX COLORS & WARM WOOL LINED – The Classic Plain MIX color Knitted, Build a simple and stylish Knit Construction style, super soft and warm wool lining design, it will be very suitable for Fall and Cold Winter, provides you with Warmth, Comfort and Softness. It’s an excellent choice for Gifts or Your Own Dressing. Buy more for your friends and family. LETHMIK is not the cheapest, but it is the best. LETHMIK – “let’s make it” . Scroll down to the Product Description for more detail. Let me tell you this is a must-have during winter months for any smartphone user. I don’t go out without my touchscreen gloves when it gets chilly and I need to use my phone outside. No frostbite on my hands anymore. Highly recommended.